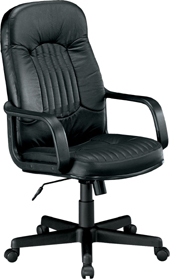 A stylish executive conference chair with a triple stitched, quilted back design. 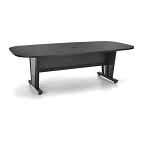 The curved arms and sculptured back with built-in lumbar support provide maximum comfort all day.
" Seat height: 18" - 22"
" Overall height: 43" - 47"
" Base size: 5 Star - 27"
Dimensions: 29" x 26" x 13"